A smaller sized machine for those businesses where space is a premium, drawing on over sized boiler capacities that will cope with any peak service demand. BOXER is a premium compact machine combing the specications necessary toproduce espresso without compromise yet retaining both the style and finish not normally found in the compact machine market. 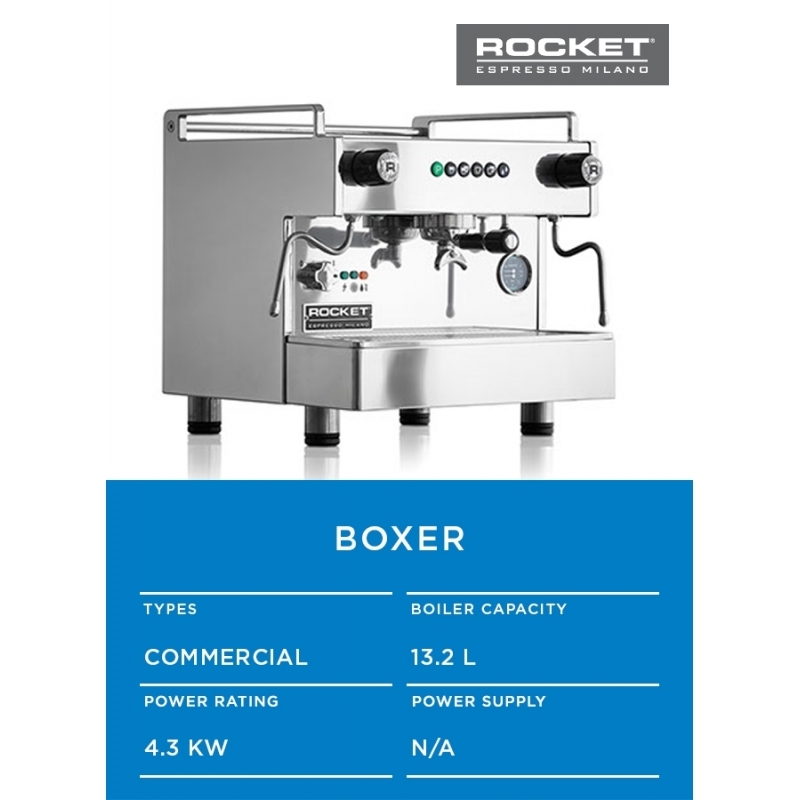 Contemporary design, BOXER performance, Rocket Espresso. Available in both high cup and espresso cup versions.